3. NAME of each person whose place of abode on April 15, 1910, was in this family. If an employee— 21. Whether out of work on April 15, 1910. In 1912 and 1959, New Mexico, Arizona, Alaska and Hawaii would become the 47th, 48th, 49th and 50th states admitted to the Union. The 1910 population count for each of these areas was 327,301, 204,354, 64,356 and 191,909 respectively. On this basis, the ranking list above would be modified as follows: First 42 ranked states - positions unchanged, then (43) New Mexico, (44) Idaho, (45) Arizona, (46) Delaware, (47) Hawaii, (48) Wyoming, (49) Nevada and (50) Alaska. 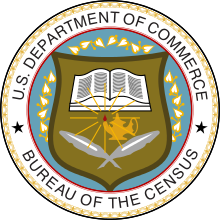 Wikimedia Commons has media related to 1910 United States Census.